Ron McBurnie is an Australian painter and printmaker. He has a studio in Townsville, North Queensland where he makes and prints his own work. He also collaborates with other artists and prints their work through Monsoon Publishing. Ron has travelled widely and has recently been Artist-in-residence at the Australian National University, Canberra 2012, National Art School, Sydney, 2011, Alayrac France (2011) Carleton College Minnesota (2006), Frans Masereel, Centrum Belgium (2011). 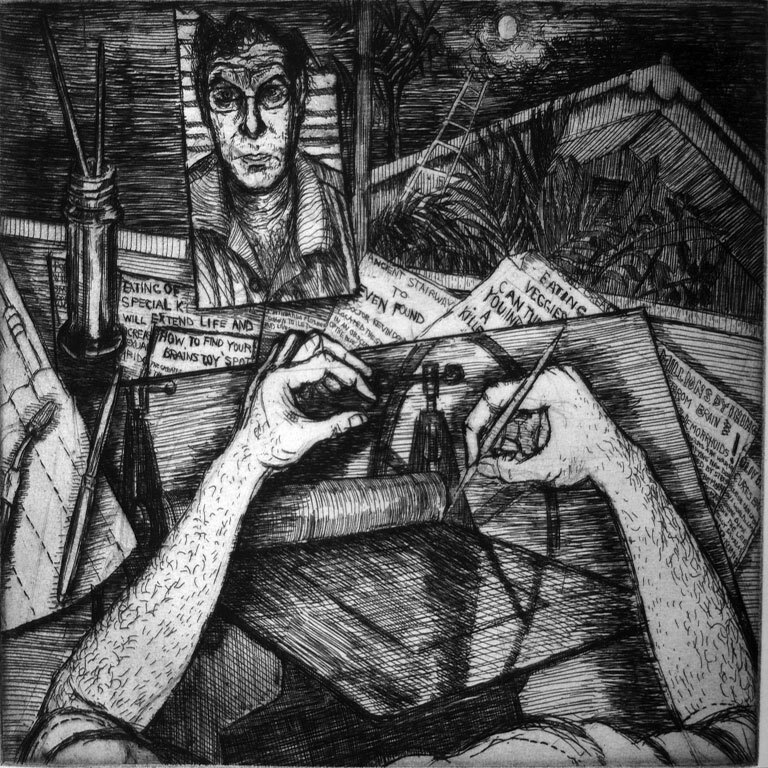 Although his painting and printmaking is influenced by the immediate tropical environment of North Queensland, it also draws its inspiration from the different places the artist visits as well as from his interest in earlier traditions of British and European printmaking and painting.